Save more money is consistently at the top of the list year in and year out, yet the savings statistics in this country are always terrible. This is because saving money is simple. Prioritizing is the hard part. It’s very easy to clip coupons or cut back on lattes to save money, but those little things don’t get you anywhere. They’re not going to make a big dent in your budget. To truly save money you have to focus on the big picture issues, including things like housing, transportation and making more money. Most people spend more on transportation than they realize. In Happy Money: The Science of Happier Spending, the authors show that the average American worker will work 500 hours a year (or 2 hours out of every work day) to pay for their cars. This all-in cost includes gas, maintenance, plate fees and insurance costs. Because of these costs, the average household spends almost 20% of income on driving expenses. For low-income families, it can be as high as 40% of income. Is the new car smell really worth one-fifth of your income? A 4% car loan spread out over a 5-year term at the average cost is almost $600 a month. This is just an average, but it shows you how high the costs of car ownership can get, and this is before you add in the ancillary costs. New cars lose around 10% of their value the moment it’s driven off the lot. After the first year, a new car depreciates by another 20%. Owning a car for five years leads to an average of a 60% loss from the original value. Although their cars ranged widely in value, from around $400 (a Yugo, perhaps?) to $40,000, there was no relationship at all between the Blue Book value of the car and the amount of enjoyment the owners got from driving it that day. In fact, they found that most people liked the narrative of driving a nice car more than the actual driving experience itself. People said they enjoyed driving expensive cars more when asked to describe the make, model and year. But this narrative didn’t translate when they were actually driving. It was more of a status symbol in their head than anything else. As with most things, the novelty wears off from a big purchase sooner than we think. Another way to cut costs and improve happiness is to move closer to work to cut down your commute. A study showed that your income would need to rise by over a third to offset going from no commute to a 22-minute commute. I’m not big on telling people what they should or shouldn’t be spending their money on. There are car people out there that absolutely have to have nice cars. That’s fine, as long as you are saving and have the rest of your financial house in order. The goal should be to take care of business up front (automated savings) and be able to spend on anything you want with the rest. Regardless, focusing on the big picture details – housing, transportation, careers – is much more important for those looking to save real money than cutting back in minor areas. Finding ways to save money on things like lattes is easy. 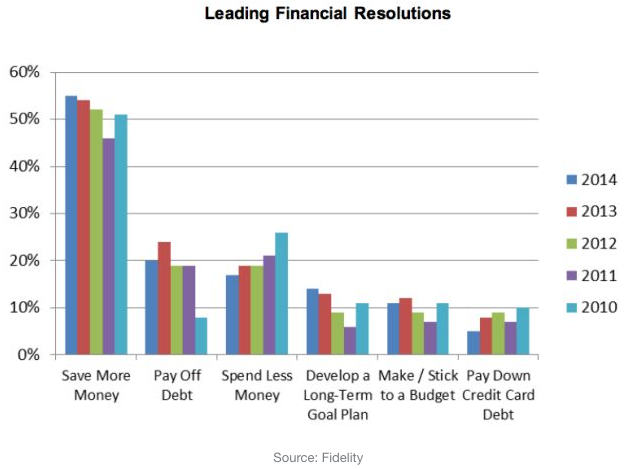 Prioritizing on the large expenses that actually allow you to save is the hard part. This is great advice, especially the part about commuting. However, we can’t neglect the little things because the little things often add up to a hefty sum. The average American spends $230 per month on commercial prepped meals, $90 on a cable or satellite package, and $71 on individual cell phone plans. That’s quite a bit of money, and it doesn’t include the harder to quantify things like the behavioral risk associated with being exposed to advertisement via watching TV, the auto expense associated with picking up the food someone else makes, or the healthcare costs associated with eating said food and sitting around watching TV. And we haven’t gotten to things many of us are careless about, like our use of electricity, water, air conditioning & heating, etc. which are often unnecessary expenses. Regarding lattes, I disagree with you, Ramit Sethi, and others who claim they don’t make that much of a difference. The average Starbucks transaction is about $5 and the average customer visits 6 times per week. Most of these people are driving to get their coffee, and since most people are financing more vehicle than they need, 50 cents per mile is a decent cost of ownership estimate. If someone lives a mile away from Starbucks he/she is spending $36/week or $1872/year, not counting the cost of the vehicle idling (getting zero MPG) in Starbucks which adds up to half an hour per week if we assume a five minute lead time from pulling in to the drive-through to pulling out. That’s nearly three weeks of take-home pay for the average American, and this is a best-case scenario with the person living just one mile from Starbucks. It’s true that small purchase can add up but when most people cut back in one area they then pick up the spending somewhere else. Calculating the amount you could save over the course of the year is great, but only if you actually put that money towards savings. That’s the problem…most people don’t save the difference. People need to save up front and then spend whatever is left over. That way it’s not like you’re depriving yourself of something, you’re prioritizing up front. Well, I’m bad at reading comprehension because the average Starbucks customer visits the store about six times per month, not per week. However I don’t think that negates the point being made. I agree with you that “new” cars aren’t worth it, but at some point the topic changed to “nice” cars. For some people it is essential to their business dealings to have a nice car (impressions when you have client meetings, or take out co-workers) so its still about cost/benefit, and if the ultimate benefit to that car payment is more net income per year, and furthering your career prospects, I argue its an investment in a business tool–just like investing in a nice suit and watch. If I show up to a new client meeting in Manhattan Beach with a 1990 Civic hatchback, they won’t exactly have increased faith in my abilities to increase their bottom line. Most people probably wont care about what you drive, but the the people who do care are going to be the ones you should be impressing. When I’m not working, I would personally rather ride my bike to driving. That’s a fair point. I’m a huge proponent of buying quality cars that last a long time. Maybe I should have gone into more detail on that. The problem for most is when they buy a new car every 2-3 years. It’s just a money waste. Buying a high quality new or 1-2 year old car that you’ll drive for a period longer than the loan is where it makes sense. That way eventually you have no car payment as long as you’re willing to drive an older model. I like that you focus on the things that really affect income: housing, transportation, and career. However, I don’t think moving closer to work to save money applies across the board. I would like to see further research into the statistics. I say this because the housing around my work is significantly more expensive than 20 minutes out. I bet that as more urban areas become gentrified then more people are going to have to move farther away because its too expensive. On the other hand, if you don’t work in an urban or downtown area, then moving closer to your work probably saves a lot. As to needing a nice care to impress… I guess their is an argument for that, but a nice car doesn’t mask incompetence. That’s a good point. I think having public transportation vs. driving on a heavily trafficked highway. Everything’s a trade-off and I’d imagine the housing deal could definitely trump the commute. A Wealth of Common Sense is a blog that focuses on wealth management, investments, financial markets and investor psychology. I manage portfolios for institutions and individuals at Ritholtz Wealth Management LLC. More about me here. © 2019 A Wealth of Common Sense.